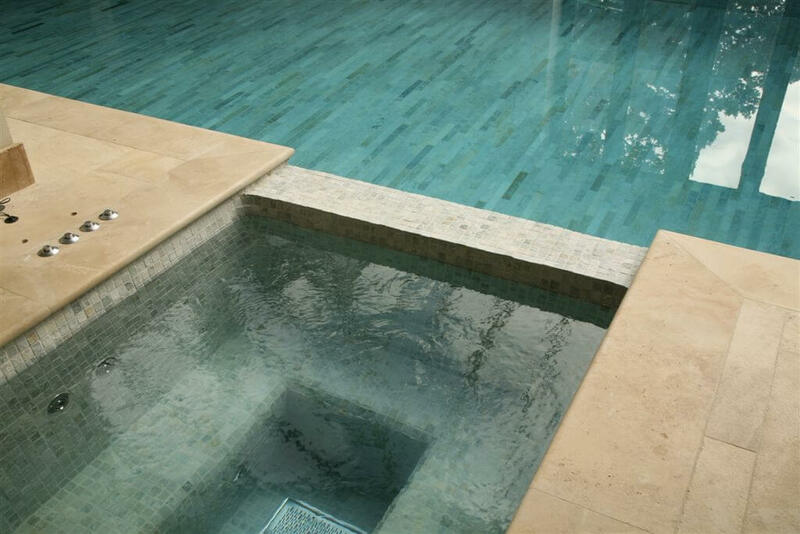 This was created as a family pool and spa with clean lines and excellent use of space. 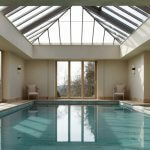 The interior designers took great pride in the use of natural materials and made great use of the available sunlight. 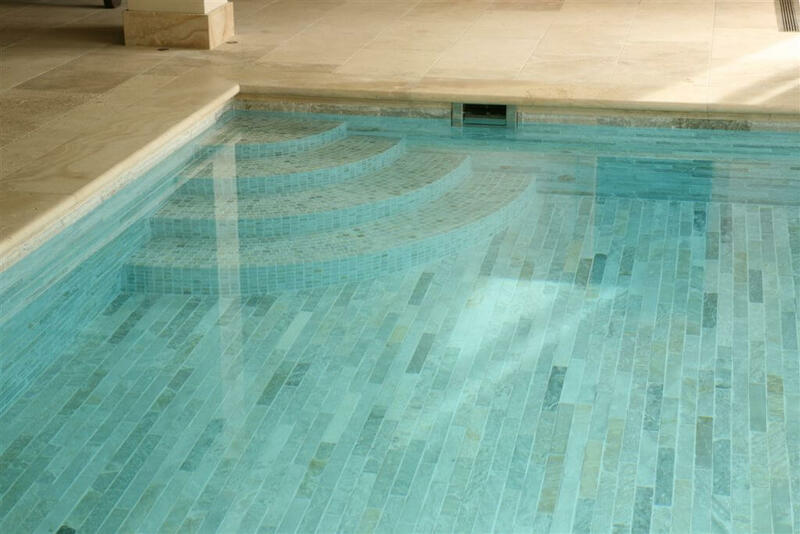 The pool was finished with un-calibrated cladding strip stone with random jointing to enhance the natural feel. 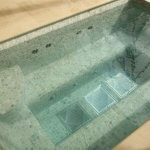 All pool tank components were either fabricated from stainless sheet or machined from solid billet stainless 316. 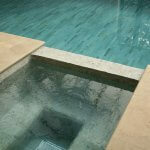 The client did not want chlorine in the pool. This represented a great challenge with the natural stone finish and copious amounts of sunlight but water quality was always exceptionally good and algae growth was kept to a minimum provided the south facing walls were brushed periodically. The excellent water quality was made possible with the use of medium rate filtration, high circulation rates, automatic pH and H2o2 dosing and excellent Ozone production plant. 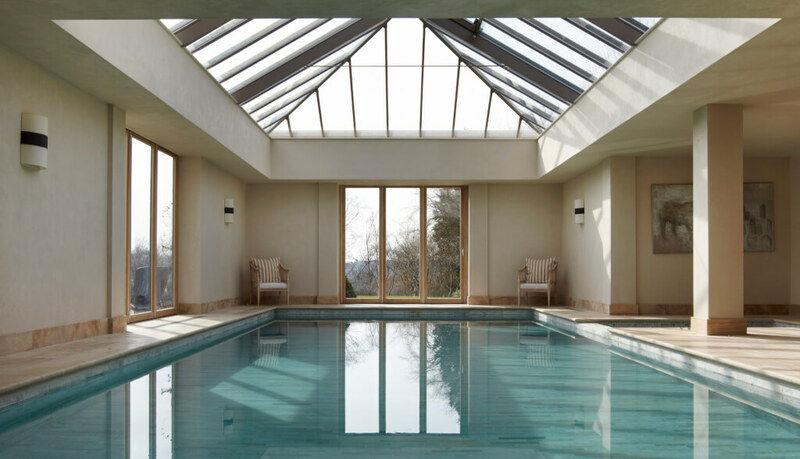 The pool was not aggressive to the fabric of the building, was soft to the eyes and skin, neither smelt or tasted of anything and was environmentally friendly.